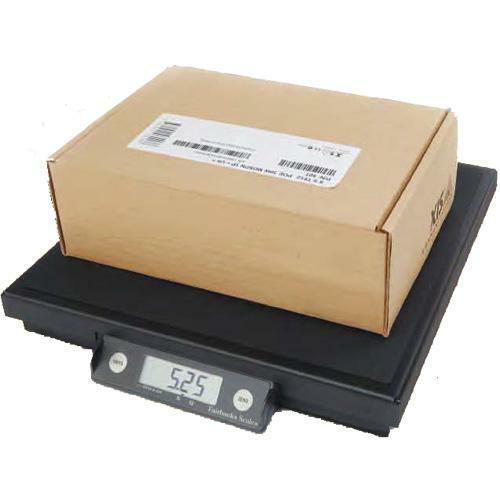 Fairbanks Ultegra Junior Parcel Shipping Scale is designed specifically for package weighing in applications under 70lbs. This low profile scale also offers exceptional performance in a variety of other non-wash down, general weighing applications in manufacturing or shipping and receiving. The Ultegra Junior features an 11" x 11" platform constructed from rugged carbon-steel to handle the abuse of shipping applications and other industrial environments. Its design also promotes superior strength, achieving up to 100% overload protection. The parcel shipping market has moved beyond manifests and ledgers. Shipping operations now utilize computers and software to quickly manage transactions. Like manifests of yesterday, computer serial connections are now becoming extinct. Fairbanks Scales meets this technology shift by offering standard USB interface on all its shipping scales. This scales two key operation (units and zero) is designed for maximum efficiency. Simply select a unit of measure, place the object on the scale and read the display. The zero key zeros the scale or allows for filling or checkweighing operations. A textured weighing surface reduces surface tension and allows boxes to slide easily across the scale.